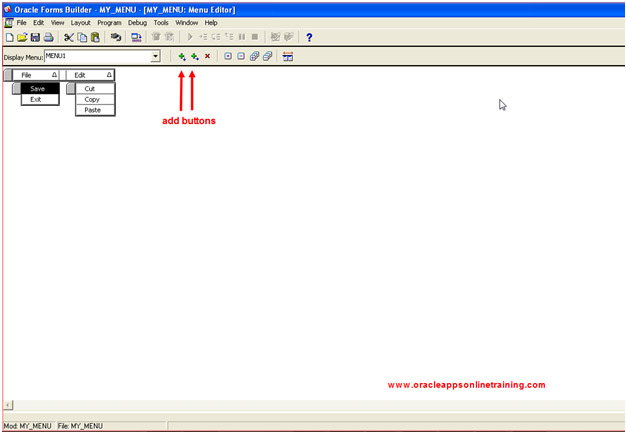 Menus are list of items then end users use to select specific functions or operations. .mmx file is created when we compile .mmb file. 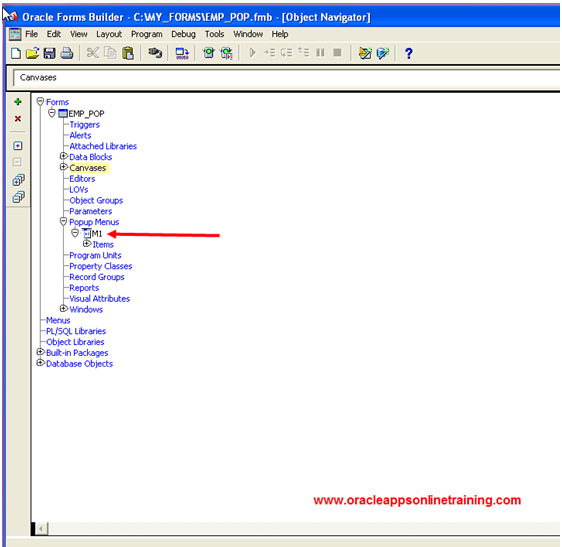 Open the form builder tool Create new Menu. Using add buttons , add menu items towards down and right. Provide code for the menu items. Select Save Go to its PL/SQL editor, provide the following code and compile. Similarly, select Exit Go to its PL/SQL editor provide the following code and compile. Observe MY_MENU.mmx file as generated. 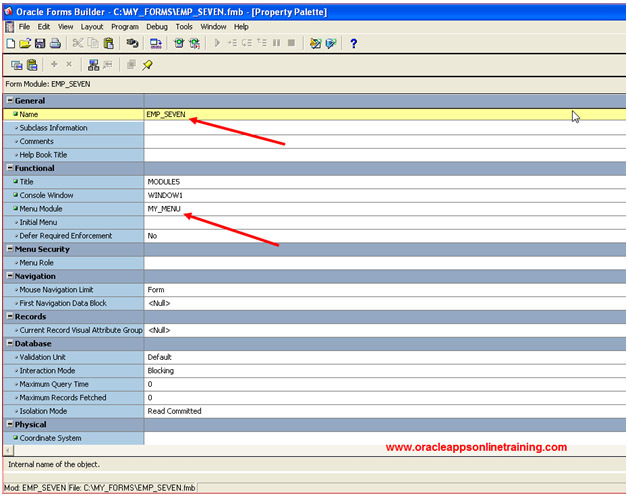 Create new form based on EMPSEVEN table using Data block wizard and layout wizard. we need to place MY_MENU.mmb and MY_MENU.mmx file in FORMS_PATH directory ( In the server). 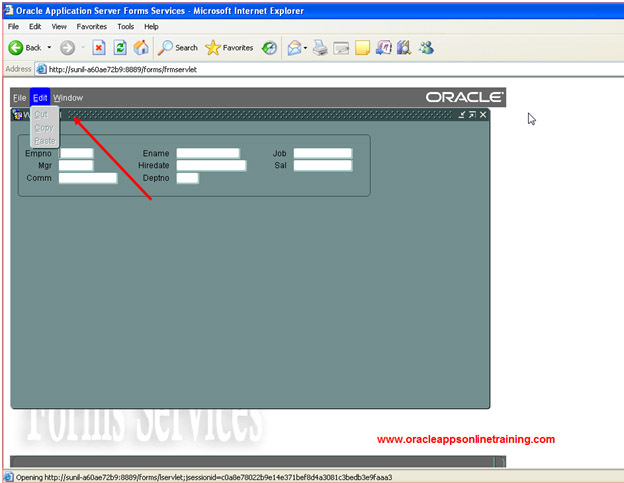 Get the FORMS_PATH directory information in default.env file. Observer instead of default menu, we are able to get our menu. Popup menus are attached to individual items or canvas. 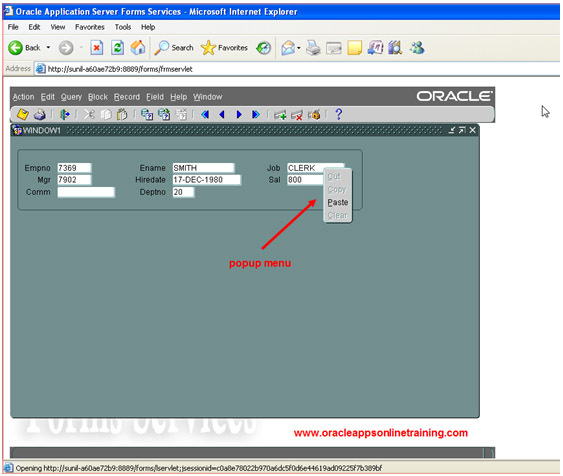 Create a form based on EMPSEVEN table using data block wizard and layout wizard. Create Menu Items Cut, Copy , Paste and Clear using add button ( down ). Now, right click on JOB, you can see the Popup menu.